Would you like to try yourself as the owner of a network of special clinics where you can be cured of all diseases? Tu Point County invites daring managers who can bring well-being, health and prosperity to the region. Probably. 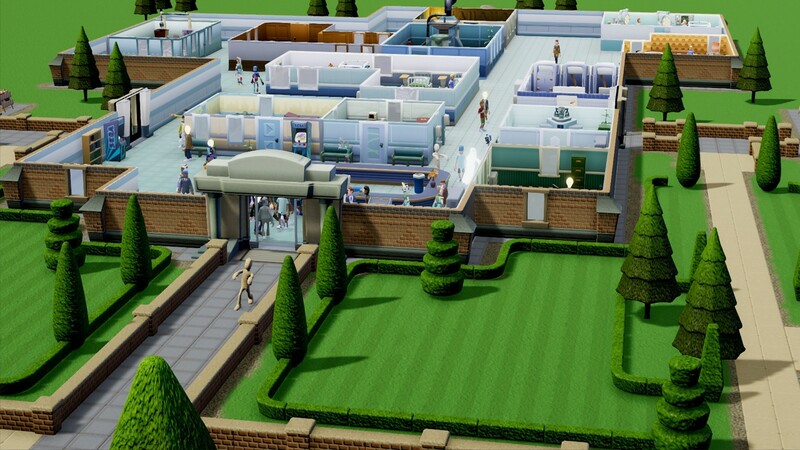 Two Point Hospital - the ideological successor of the cult game for many Theme Hospital. You are waiting for new diseases, new conditions and a long thorny path from a private clinic somewhere on the outskirts to a medical corporation that brings a lot of money and benefit to all residents of Tu Point. So, you have been given funds and premises for the creation of an innovative clinic. 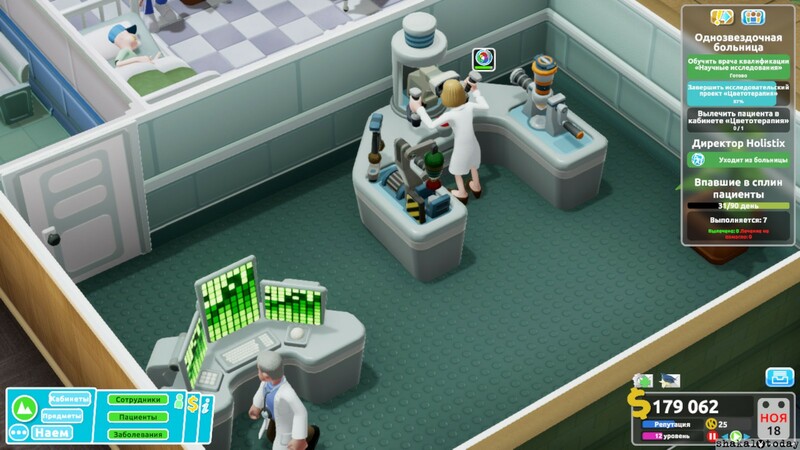 Place cabinets, hire first doctors and nurses, get ready for the first influx of patients. Think it will be easy? By no means. Diseases in Tu Point are special, in the best traditions of this simulator. You have to treat Despair, Spleen, and some patients have completely lost all their colors, turning into gray statues. Learn new techniques and overclock a healthcare machine using both old, time-tested mechanics and new ones that keep up with the times. 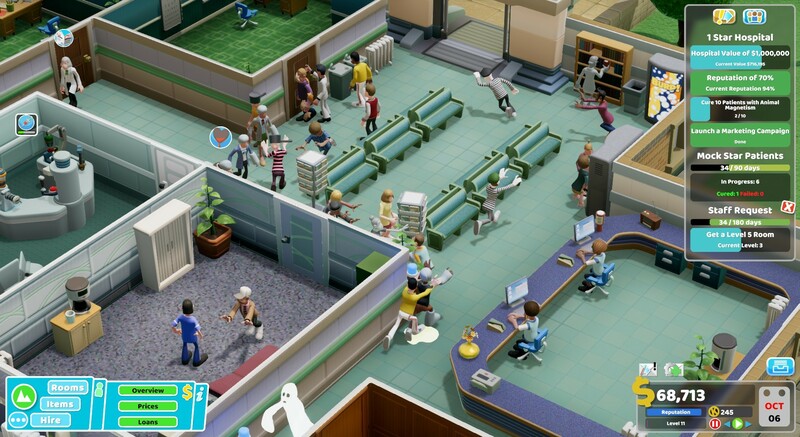 Become the leader of the year, according to Tu Point Forbes, by purchasing Two Point Hospital and taking control of all hospitals in the district. Remember the Hippocratic Oath? Here, in short, about the same thing, but more fun! - Addictive gameplay. A lot of offices, a huge staff of doctors and a tsunami from patients requires proper attention. To create a device that will operate without your intervention is difficult, but possible if you develop your talent as a manager. Increase the qualifications of doctors, spend money wisely and become famous throughout the district, receiving awards. - Unique humor and complexity. The wit of the local doctors and the homoerically ridiculous diseases cause a smile and set up a casual manner, but this is only a cover for a real ordeal. Try not to lose loyal patients and watch what they like and don't like. Sometimes a lot depends on the behavior of the doctor. - Become the best! Collect statistics, increase performance, run a merciless marketing machine to overtake the leaders in the table of records. 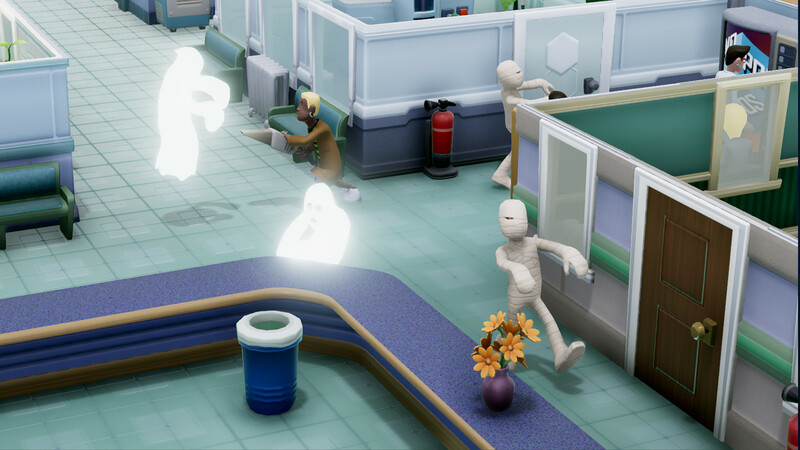 The race for the title of the most advanced hospital begins now! But please do not forget about the Hippocratic Oath and do not harm the patients in pursuit of enrichment. 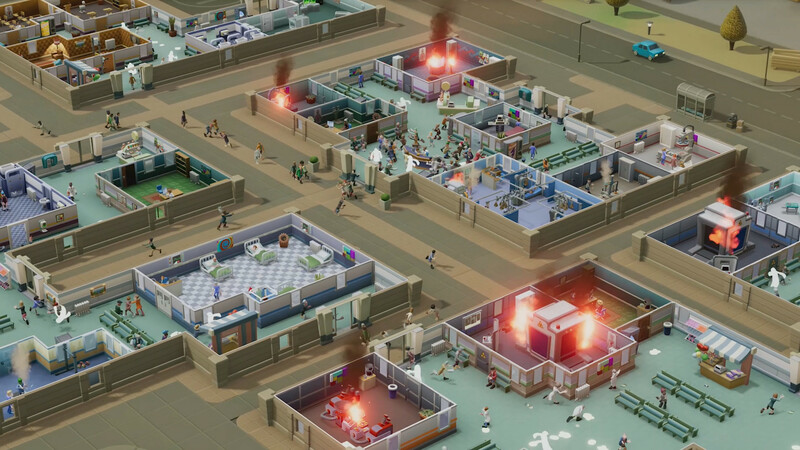 The license key of Two Point Hospital (PC) is activated on Steam. If you do not have a Steam client installed, download and install it. Log in to your Steam account or register a new one if you do not already have it. To activate the key, select "Activate via Steam ..." in the "Games" or "Add Game" in the lower left corner of the application and select "Activate via Steam ..." there. 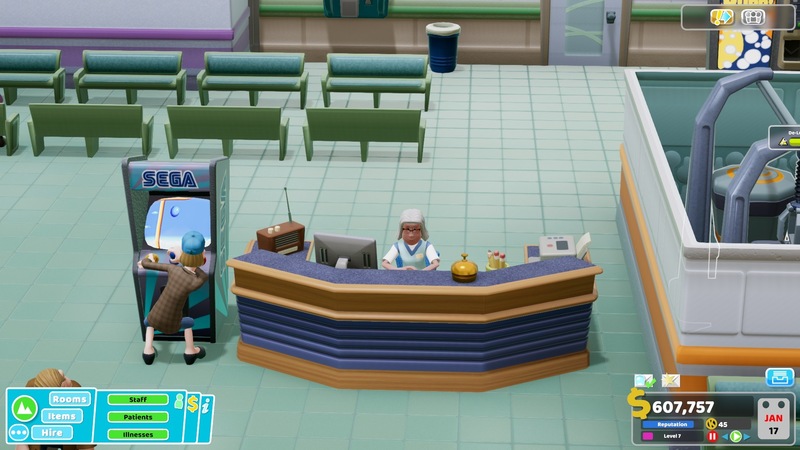 Enter the activation key (to get it, you need to buy Two Point Hospital (PC)). 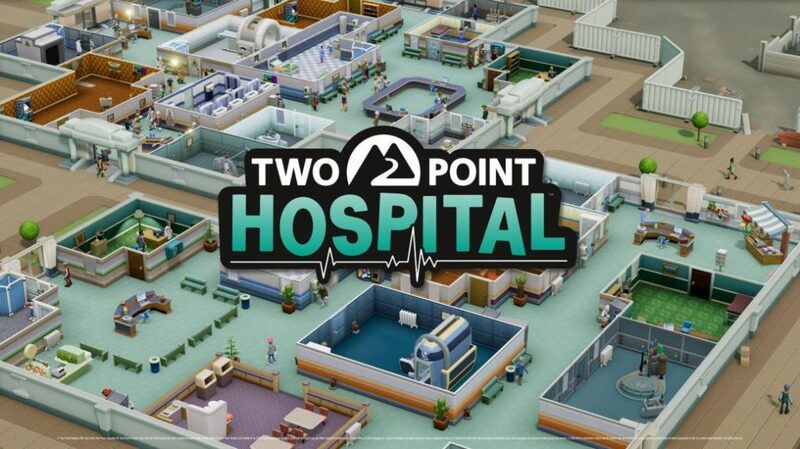 After that, the game will appear in the “Library” section, and you can download Two Point Hospital (PC).